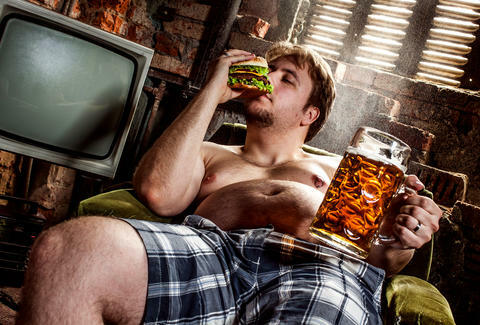 Just like a double bacon cheeseburger and a pint of beer, Americans and professional-grade gluttony go hand in hand. And while we have whole cities, like Las Vegas and New Orleans, that are practically built on eating, drinking, and other indulgences, the greatest crossroads of our nation's battle with vice is actually -- if not fittingly -- located in America's heartland: Sioux City, IA. 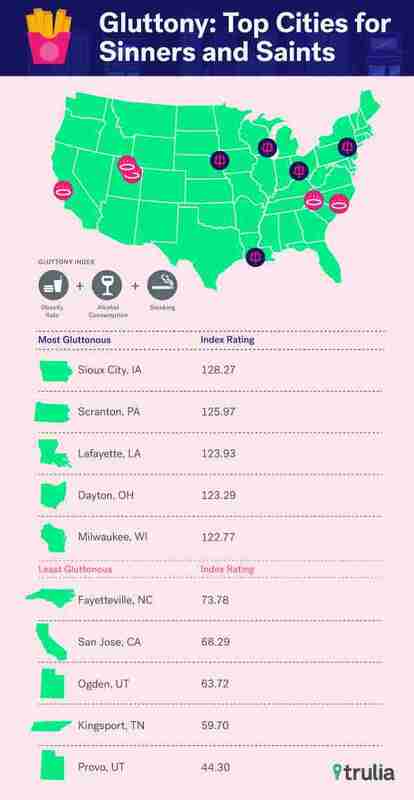 The home of a little more than 82,000 people, Sioux City topped a new list from real estate listings site Trulia of America's "most gluttonous" cities, followed by Scranton, PA, and Lafayette, LA. With Mardi Gras just around the corner, the company set out to find the most sinful (and most saintly) cities in the country and determined the most gluttonous cities by analyzing "metro-level Center for Disease Control and Prevention (CDC) data on obesity rates, binge-drinking rates, heavy drinking rates, and smoking rates." On the other hand, Fayetteville, N.C., was found to be the least gluttonous, which can't be entirely a good thing. Who doesn't love a little gluttony? Tony Merevick is Cities News Editor at Thrillist and has been to only one of the cities on this list. Send news tips to news@thrillist.com and follow him on Twitter @tonymerevick.